Description: Occupy the whole house but still get a mortgage helper! Like new, 4 yrs 2862 sf quality home located at the quiet part of Francis Rd and Garden City Rd. in Richmond. 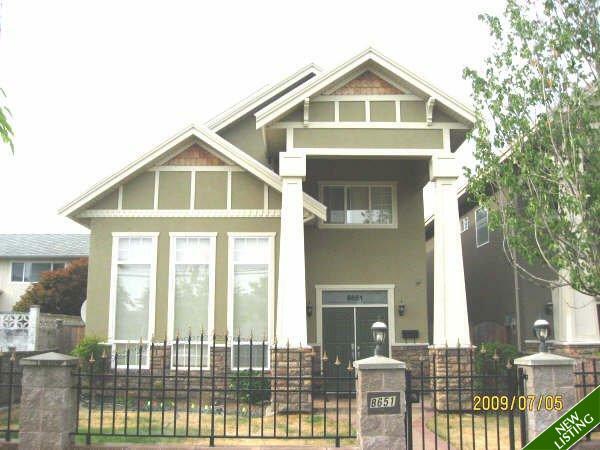 Main house feats hi-ceiling L/R, 4 bdrms all ensuited up, den/office + full bath on main, wood and tile flooring, extensive crown mouldings, granite tops, S/S appliances, Chinese wok kitchen, maple cabinets, 2" blinds, radiant heating, double garage, fully fenced and tile roof and more. BONUS 1 bdrm fully detached coach house as mortgage helper with separate entry, kitchen, insuite laundry and 1 parking currently rented for $850/month. Close to schools, shops, transit and park. Shows very well. Great buy! Open House Sunday, August 30th, 2:30-4:30pm.